← Is a home funeral for you? Kinetic sculptures are human-powered works of art, usally custom built for derbys and parades. Photo by William McCombie. Chimera Fest, a celebration of creativity, innovation, art, making and culture in the Southeast, takes place from Friday, Feb. 24 through Sunday, Feb. 26. 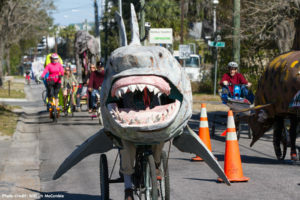 Gainesville’s Artwork, featuring an exclusive walking exhibit of the Menagerie in Motion Derby entrys through Depot Park. 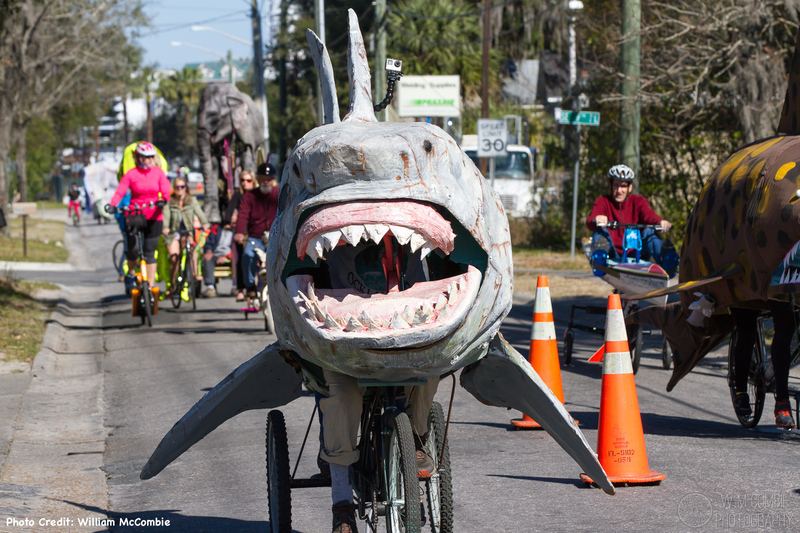 Watch tens of human powered art-pieces race through an obstacle course centered in Depot Park, providing fun and folly for the whole family. A day for people to celebrate in their streets, taking place on South Main St. and the surrounding Depot Park area. The event will include hundreds of activities for participants meandering the streets, three stages of live music curated by Futuer Music Makers and a food truck rally. Each year Chimera Fest will grow to include new partners and highlight additional facets of what makes Gainesville and Alachua County the heart of culture in the Southeast. Chimera Fest is proudly brought to you by Future Music Makers, Heartwood Soundstage and the Active Streets Alliance. For information about Chimera Fest and our partners, please visit www.ChimeraFest.org.